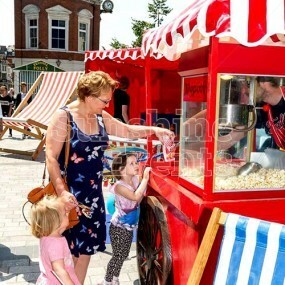 The smell of freshly cooked Popcorn or the sweet aroma of Candy Floss will add levels of excitement to your event that you were never prepared for. As guests queue in their tens (of thousands - well, that depends on the length of your guest list) for a taste of the creamy ice cream, you’ll know instantly that adding Fun Foods to your event was a stroke of genius. 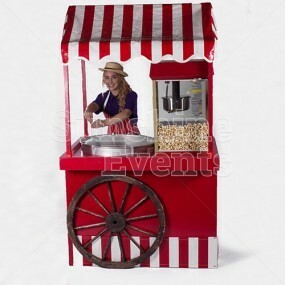 With a selection of Fun Foods that includes our Pick n’ Mix, these instant crowd pleasers can come based on the Traditional Wooden Carts or in some cases as machine hire only. 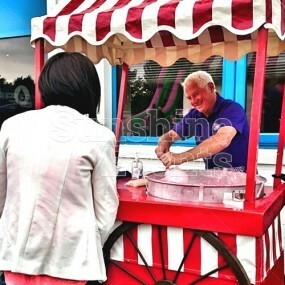 The Ice Cream Bike makes for a fantastic feature at Fun Days, sure to appeal to everyone’s sweet tooth. Whether organising a large Corporate Family Fun Day, a more intimate setting such as your Wedding or perhaps a Promotional Event, you can be sure that no event is complete without the sweet tasting fun foods that we have to offer. The Fun Experts are connoisseurs of the fun food kitchen. For over a decade now, we have been cooking up a storm as we fill the air of events with the sweet smell of delight. With a meaty selection to choose from, we are your one stop shop when it comes to your event needs. And with our choice of fun entertainment high comes the level of high standards and quality you should come to expect. 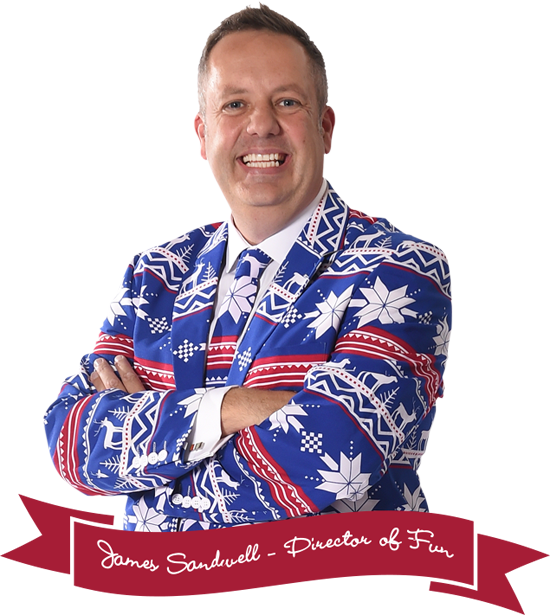 The knowledge and experience from our team of sales executives to logistic coordinators and event coordinators, you can trust to be insightful and inspire you. With the requirements of venues across the nation seeming demanding, fear not as we have everything you need including £10 million Public Liability Insurance, Risk Assesments, Food Hygiene Certificates, PAT testing certificates and more - most of which is available to download from our website. Inviting the Fun Experts will add a level and standard to your experience and journey that will see you wanting to share the experience again. 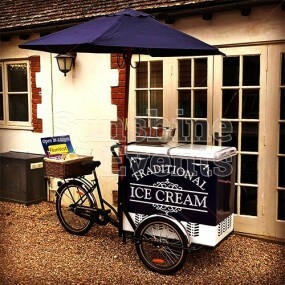 CASE STUDY - Sunshine's spooky Ice Cream bike is a big hot in Blackpool!